Me & Elle in 2005. Ten years ago, my life changed drastically. I became a mother. Not only that, I was a young mother fresh out of college with no mommy friends or knowledge of motherhood. All my friends were working towards their dream career and meeting cute boys while I was trying to figure out how to change diapers, soothe a crying baby and breastfeed in the dark at 2 am. I was utterly alone and lost- but I was a mother and I was determined to be the best mother I know how. Less than a year later, I was thrown into a world of early intervention, therapists and developmental delays. My daughter Elle is a special needs child. A very special special needs child. Tomorrow, she is turning ten years old. So today I want to write Elle a letter but her special needs make it difficult for her to comprehend my adult world of big words and complex thoughts. So instead, I’ll jot down ten things she taught me in the past ten years. 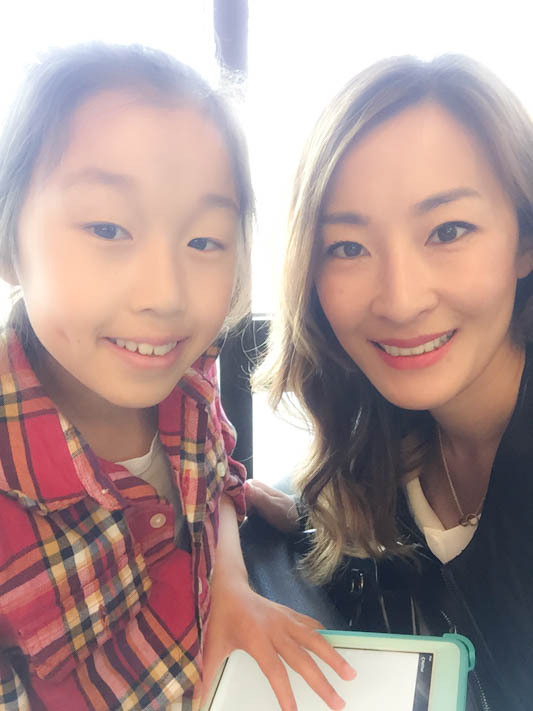 She is my life teacher– and what follows is a list of ten things I learned by being her mother. There are so many things to be thankful for in life, even ordinary things we take for granted like talking, walking and writing. There are millions of people in the world whose muscle tone is so weak that they have trouble holding a pencil or use scissors. Next time you talk to your child about his messy penmanship or not getting straight A’s on her report card, think about that for a moment. There are people who can’t see, who can’t hear and who can’t talk. There are people who lack limbs, fingers and toes. There are people who can’t function without taking medication everyday for the rest of their lives. There are people who can’t read, who can’t process thoughts and emotions, who are exceptionally sensitive to sounds and lights that are so normal for us. So what do we have to complain about today? Be thankful for every little thing, even our breathing is a gift from God. 1 in every 691 babies in the US are born with down syndrome. About 1 out of every 88 children in the US have autism. 1 in 500 babies is diagnosed with Cerebral palsy. 1 in 3 of them cannot talk, 1 in 5 cannot walk. Approximately 6.5 million people in the United States have an intellectual disability and 48 for every 100,000 people have epilepsy. Today, none of these statistics and diagnoses matter. My daughter is who she is because she is meant to be who she is. It’s fate. It’s a part of who she is in the Universe. It’s how God created her. It’s that simple. Growing up is hard. Growing pains are real. Being a mother, wife and adult means pushing ourselves to new limits and dealing with problems responsibly and wisely. I don’t know if life will ever get easier- but what I do know is that every obstacle challenges us to new awakenings, encounters and experiences. Sometimes though, I wonder why we were so eager to grow up when childhood is one of the best gifts that life has to offer. I guess life is designed that way. We realize only after it’s gone. Growing up as the first child of a strict Asian family, there was a lot of pressure to be perfect- to aim for straight A’s, never cause trouble, only make good friends and not make mistakes. Its long term effects didn’t quite settle in until after I became a mother and today, I aim not for perfection, but for imperfection. Perfection is elusive; a fallacy, an urban myth. Through my daughter, I learned early in motherhood how detrimental perfection can be to ourselves as well as our children. We are not designed to excel at everything, just that one thing that strikes our fancy is most likely our God given talent. Discovering our innate talents and passions, is road to true success. True happiness doesn’t come from wealth, fame or an ivy league education. We chase these things because we complicate the meaning of happiness for ourselves. We forget what simplicity means, because the world is full of greed, desires and longings. True happiness comes from simple things in life. It comes from being present in each moment free from worry and fear. It comes from saying thank you, I’m sorry, I love you often and laughing a ton. I know this because I have yet to meet a person who is happier than my daughter. True love takes courage, strength and perseverance. It takes time and pain. The love we feel towards our significant other on our wedding day and the love we feel for our child the day he/she is born mark only the beginning of a lifelong journey. True love is earned, not given. True love exists for everyone; we just must be willing to work for it. I used to pray for a clear sky, where I experience no sorrow, pain or loss. I viewed these as negative, unnecessary and avoidable. Now that I’ve seen the magnificence and beauty of the rainbow however, I handle rainy days with more strength and hope. Pain is a natural part of life. As long as we keep our eyes and hearts on the rainbow, rainy days are no longer unbearable. When we have it all- a home, a car, a family and healthy children- it’s difficult to remember those who don’t have these things and it becomes too easy to take things for granted. I too, am guilty of this. But raising a special needs child serve as a blessing in this way- as it is a frequent reminder not to take things for granted and to always be mindful of my surrounding. It helps me to forgive more easily, to give back more generously and to count daily blessings, no matter how difficult the situation. I heard this a lot- that God only gives us what we can handle. There were moments when I wished He didn’t trust me so much, and wondered how I can get out of the situation alive. What lessons can I learn, when everything hurts so much? I asked. Why are you letting these things happen to me and my child? I cried. Now looking back, I realize I’ve grown tremendously. I no longer think, why me?– because now I know. God gave me Elle because He knew I would be the best mother for her and she the best daughter for me. He couldn’t have been more right. God does not reside “out there.” He lives in us and especially in our children. I see God in Elle’s eyes all the time. Sometimes she looks at me tenderly because she is frustrated that she can’t communicate as freely as her sister. I feel her frustration and pain. And I see God during that vulnerable and aching moment. Sometimes she throws a tantrum, kicking, throwing and screaming, unable to process her surrounding or control her emotions like a typical child. If we’re in a public setting I panic and if we’re in a car I feel anxiety as I have to focus on driving, yell at her to put on her seat belt AND calm her down all at the same time. Even during these high stress moments- which happens at least once a day- I know God is present. Ten minutes later, my sweet angel daughter comes back as if nothing happened. She hugs me and tells me she is sorry. And we move on. In that moment too, God is there- smiling, nodding and reassuring us that we are doing a great job as mother and daughter. We were meant to be together in this world, I just needed a little time to learn and grow. Thank you for being my life teacher. Thank you for being born as my daughter. You have no idea how much I love you and how lucky I am to have you as my child. Find this article on Huffington Post. Your daughters are absolutely beautiful!!! and you are an AMAZING mom!!!! Thank you Seng! Can’t wait to meet your family through your blog! You are amazing. Seeing your beautiful girl shine in these pictures is truly a testament to your strength and character as a mother. Happy Birthday to your beautiful girl! Wishing you many more years of laughter, love, and goals attained. Thank you Joy! I’m glad others can see how beautiful my daughter is because she really is an amazing soul! I found your blog through ‘Top 25 Mommy Blogs’ because I was searching. Searching for another mom who know s what I’m going through. My son is about to turn 4, but our stories are very similar. My son’s pediatrician noticed something wasn’t right at his 9 month check-up. We then started Early Intervention. My son was born with hypotonia, also has speech delay and developmental delay. And you’re right, its awful trying to get insurance to cover certain therapy services because without a concrete diagnosis, its too broad of a term. I’m not as strong as you are. I feel very helpless most days……and exhausted. I’m thankful for the help we are getting for him, but its a slow process and progress. Did your daughter ever have trouble sleeping through the night? That’s the biggest issue for us right now. My son hasn’t slept consistently through the night since he was 8 months old. He is very hyperactive and it seems like his brain never shuts off (like for sleep). Nothing we try seems to help him sleep better. I’m hoping he’ll eventually grow out of it. But for now, this is our life and I tend to only feel like a shell of a human being with huge dark circles and bags under my eyes. On a brighter note, I also know what its like to live in a house with the happiest kid you know. My son’s happiness is infectious. He is amazing and perfectly imperfect. Although its insanely hard right now, I feel incredibly blessed that God chose me to be his mom. Wherever you are in your journey, I hope you get this and keep me posted about how he is doing now. Would love to chat with you. Many blessings! 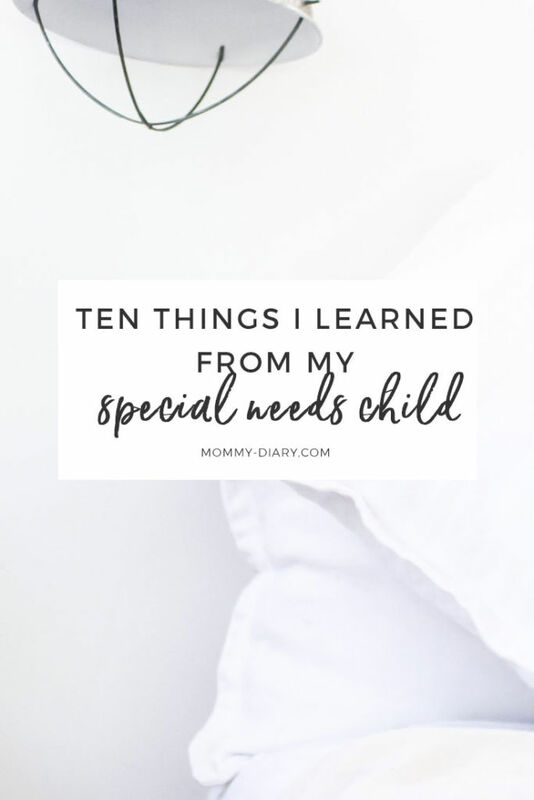 Hi, I spent the afternoon reading through your blog posts, I got hooked when I noticed you were willing to share your journey with your special needs daughter. Please don’t stop being willing to talk about it, although I understand the need for privacy regarding certain issues. I can only imagine how extra hard it’s been to parent after being raised in a culture where perfection is paramount. And throwing out your feelings to an unseen audience might be nerve wracking. But you are helping. Becoming vulnerable is helping. I read somewhere that our true perfection can only be revealed by God. We don’t have to add or go outward to find anything to achieve this. It’s like a sculptor might shape a block of stone into a beautiful statue. But, we have to allow Him to chisel us and shape us into the image He planned, which has always been there. The chiseling feels very uncomfortable and painful and so our reaction usually is to hold those little chips flying off tightly and try to put them back on. But if we only let go of the chips and hold onto God, we would progress faster. That’s trust, surrender. And just imagine, when a sculptor chisels a sculpture, where is he? He is so very near. So close.